We share your concern over the possible emergencies that can occur when your child is in our care at school. As Louisianans, we face the possibility of weather-related emergencies every year. Global events can affect the routines of schools and families as well. The information you'll find here is chosen to help you as parents and us as educators work together as a team on behalf of your child's safety when emergencies arise. 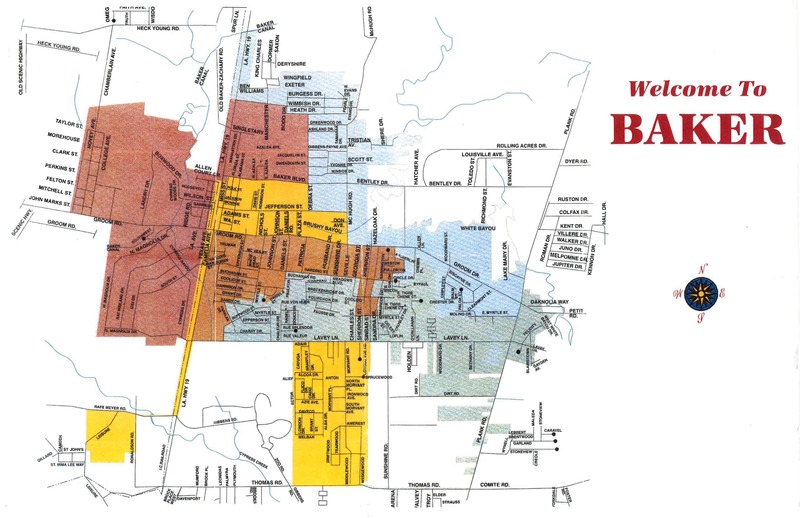 The City of Baker Public School District has a communication and emergency notification system that provides District staff with the ability to reach all parents, faculty and staff with time-sensitive information within minutes. The District uses a web-based service to communicate to parents in the event of an emergency or crisis. The system is capable of notifying phone numbers and two e-mail addresses per person, as well as text messages to cell phones, PDAs and other text-based devices, and TTY/TDD messages for the hearing impaired. Parents should keep their contact information current and, when there are changes, notify the school. School cancellations or delays are announced by 5:00 a.m.-5:30 a.m. whenever possible. When severe weather occurs or is forecast, the Superintendent will consult with School District administrative and support staffs, emergency service providers, area school districts and the Weather Bureau before deciding whether to delay or cancel classes. A decision to close schools will be made by 4:00 a.m. Media will be notified at that time. The following procedure will be utilized to make this determination: Should unsafe conditions develop overnight prior to school opening, the Superintendent will make the decision to close or open schools in consultation with the supervisors and Transportation Department regarding the safe operation of buses on Baker streets. It is every employee’s responsibility to listen to the radio or television whenever announcements are imminent regarding school closings. Local radio and television stations will be notified of the decision immediately. Such notification is under the control of the Superintendent. The Superintendent and all other central office personnel and personnel assigned to administrative units should report for work. All supervisory custodial personnel and maintenance employees will report for work as usual or designated. When school is canceled, the building will be closed for use. However, provision must be made for pupils to enter the building at least 20 minutes prior to the opening time. On these occasions adequate teacher supervision must be provided. Administrators and custodians will be required to report to work. All extracurricular activities scheduled to be held at school facilities will be canceled. A decision to modify the length of the school day will be made as soon as practical, typically by 10:00 a.m. Media will be notified at that time. When notified of the decision for an abbreviated school day, principals should place local school plans for stranded students into operation. Transportation Services will coordinate the pick up of bused students.